This KOTION EACH B3505 wireless Bluetooth Stereo headphone with remarkable sound, it is a good choice for listening music, watching movie, chatting online, etc. It is also built-in NFC chip in the right earcup of headset, support pairing through NFC function. -Wireless Bluetooth headset, compatible with Bluetooth enabled devices, such as for iPhone, for iPad, HTC, for Lenovo,for Samsung, Tablet PC, etc. 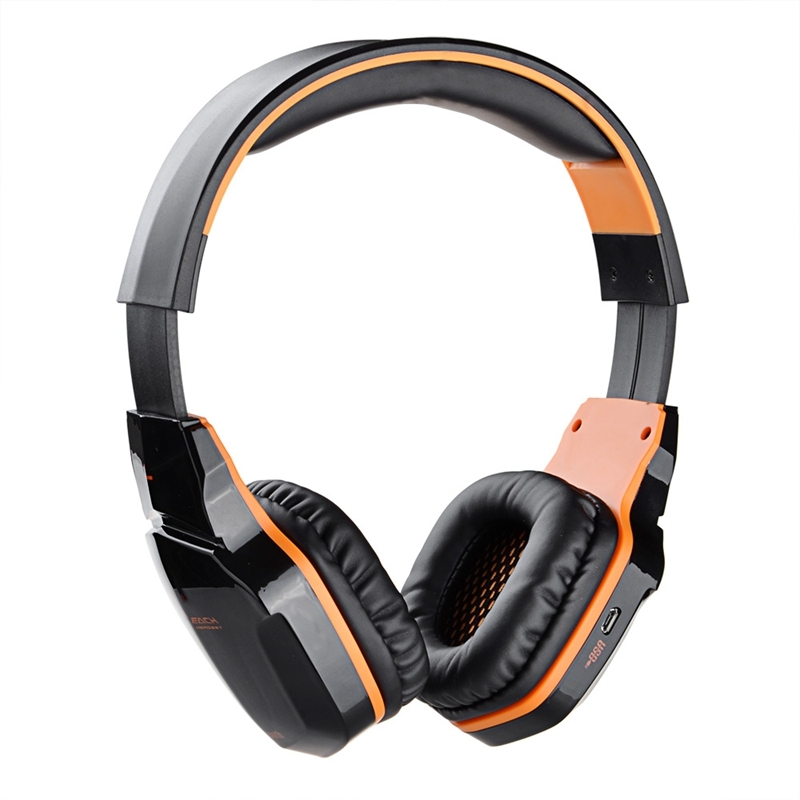 -Built-in NFC chip in the right earcup of headset, support pairing through NFC function. -Enhanced noise reduction, good choice for listening music, watching movie, answering phone calls, etc. -High precision 50mm magnetic neodymium driver, bring you vivid sound field, sound clarity, sound shock feeling. -Multifunctional keys allow you to power on/off, answer/hang up/reject/redial call, pause and play, vol+/-, next/previous track. -Supplied with a 3.5mm cable that you can use to connect the headphone to devices without Bluetooth. -Up to 8 hours playing time and standby time 180 hours. -Powered by the lithium battery (can be charged via USB). -Good quality and fashionable appearance; adjustable length hinges and very comfortable to wear.